Celebrate 35 years of good finds, awesome deals, and best prices! 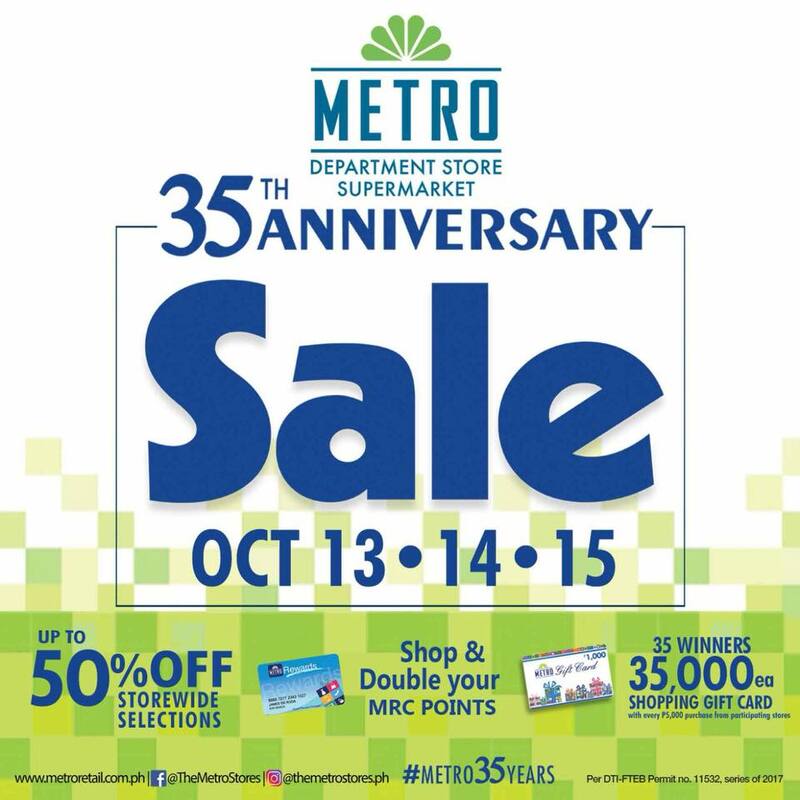 Check out Metro Stores' Anniversary SALE on October 13-15, 20171 Enjoy up to 50% off on great selections storewide. Head over to your favorite Metro Stores, Super Metro Stores, and Metro Supermarkets nationwide!